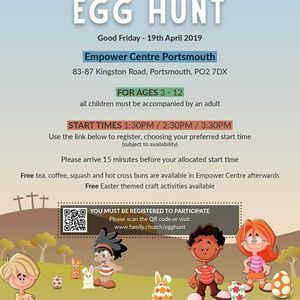 Come and join us for our annual Easter Egg Hunt in Buckland Park, starting at the Empower Centre at 1:30pm, 2:30pm and 3:30pm (3 start times). FREE community event organised by Love Buckland and Family Church. 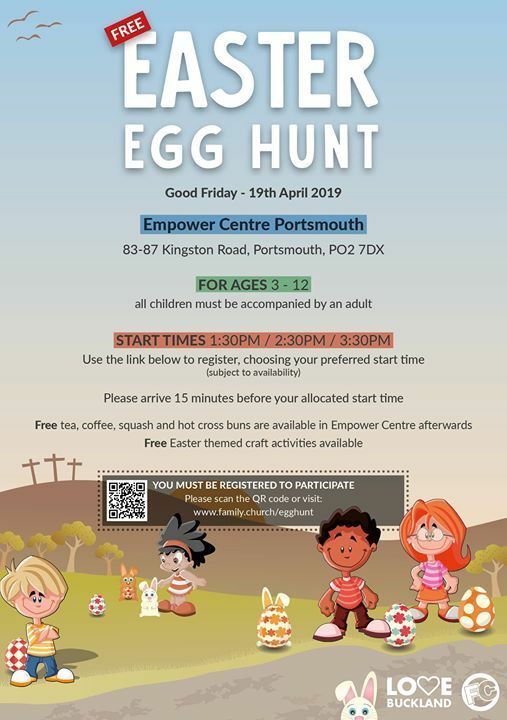 Once children have completed the Easter Egg Hunt you are invited to come back to the Empower Centre for tea, coffee, squash, hot cross buns, and some Easter-themed craft activities. Egg Hunt Buckland Park Buckland tea coffee squash hot cross adult.